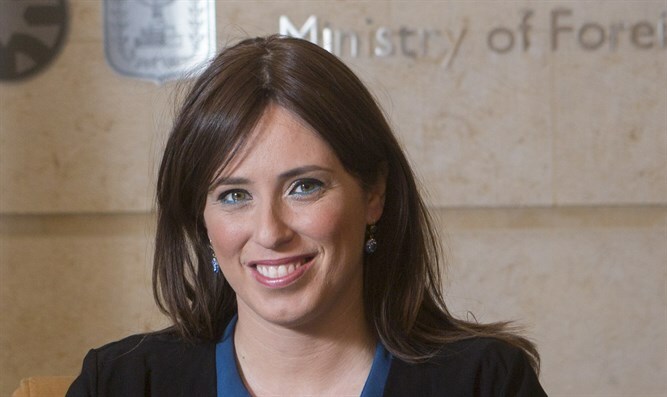 Deputy FM Hotovely says US Jews lead ‘comfortable’ lives, don’t serve in the military. PM Netanyahu: Hotovely's opinion isn't Israel's. Tzipi Hotovely appeared Wednesday on i24, an Israeli based English language news channel. She was addressing increased tensions between Israel and US Jewry, including the issue of egalitarian prayer at the Western Wall and the Israeli government’s policies on Israeli and Palestinian Authority Arabs. “The Israeli government was doing a great deal in order to make sure that they have egalitarian prayer, that women can pray together with their families, that men can pray together with their daughters. Everything is set up but they are not willing to accept it. Because if you’re asking me this is a political matter. “I think it’s a very important goal to bring American Jews closer to Israel, this is one of my goals, but we need to be open about this,” Hotovely said. Hotovely decried her disinvitation earlier this month from the Princeton University Hillel because of her past comments on Israeli Arabs. “What is happened to Hillel, what is happening to freedom of speech and academic freedom, what is happening to very basic human respect for the fact you invited an overseas representative of the Israeli government and you cancel the appearance on the same day because some students don’t like my opinions -- this is something really bad that’s happening under what I call the new liberal dictatorship,” she said. Hotovely spoke at the college Chabad House instead. Hillel later apologized for its president's behavior, Arutz Sheva discovered that this was not the first time she had denied the right to speak to a speaker invited by Hillel students.. However, she noted that American Jews who don't live here don't understand the complexity of life in the Middle East, or what it means to have a mandatory draft. Though there is a continuous and organized Jewish presence in the US military, the vast majority of American Jews do not serve in the US army. Meanwhile, Israel estimates that 2,900 lone soldiers have parents who live abroad, many of them from the USA.